The Good Guys has been recognised as an Employer of Choice in The Australian Business Awards 2016. “Employee engagement and satisfaction is paramount at The Good Guys and we have worked hard over the years to create an engaged culture where every team member understands what the business is trying to achieve, how they fit into the strategy and how they can write themselves into The Good Guys’ story. 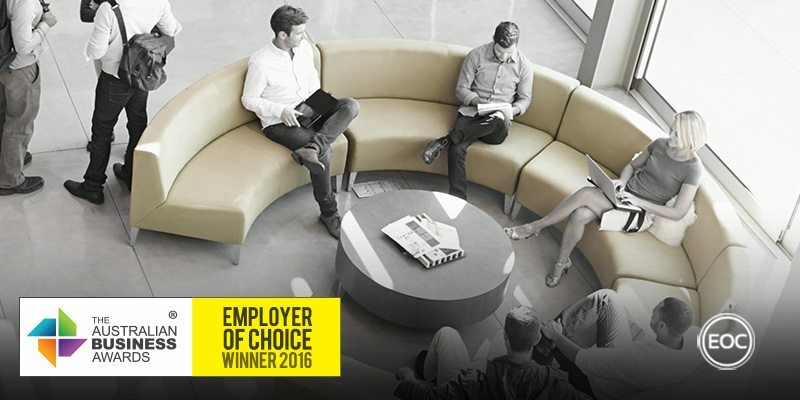 Being recognised as an Employer of Choice in The Australian Business Awards 2016 is a testament to the focus we have placed on creating this truly engaged culture. The Good Guys started as a family organisation and an emphasis has been placed on carrying this mentality through to its workplace culture over the years, with stakeholders always being kept front of mind. Remarkable Retail underpins the company values and provides a guide by which team members all across the company can make well-balanced decisions. This balance is predicated on engaged employees, profitable sales and delighted customers. The Good Guys believe these three ideas can exist in perfect balance and each one is required to achieve the others. Focusing on holistic development from day one, The Good Guys works to cultivate already strong leaders to be even more resilient than they thought possible. To do this, they have developed a leadership and learning centre, which is a dedicated effort to develop leaders by pushing them out of their comfort zones. The training programs are centred on multi-faceted learnings that focus on flexibility, agility and speed to mastery. They are designed to offer an opportunity for the company to learn as much from the experiences of new recruits as they learn from the company – developing a dynamic learning culture. This emphasis on developing a learning culture extends to the company’s “Remarkable Achievers programme”, which is a platform designed to reward and recognise high performing team members. It involves a commission structure that works in tandem with a customer engagement model to assist with setting ideal selling behaviours that are rewarded. Additionally, the Good Guys have embarked on what they call the “Safety Always Matters (SAM)” campaign, which aims to revive the teams’ knowledge about the importance of safety in the workplace and achieve 100% compliance. For the Good Guys it’s important that safety is not only recognised as a matter of OH&S, but also as a matter of emotional safety. To this end, The Good Guys have implemented specialised teams to help ensure all aspects of safety are well looked after.